Boss Battles! – معارك الزعماء! Boss battles are a significant aspect of most games, so we sit down with Omar Enezi to discuss them in depth. مقاتلة الزعماء هي جانب كبير في معظم الالعاب لذلك جلسنا مع عمر عنزي في نقاش عميق عنهم. Speakers – المتحدثون: Abdulmalik Zubailah Omar Enezi Show Links: Omar’s YouTube Channel Omar’s Blog Grandpa Game (Developed by: Abdullah Hamed, Basma Mariki, Omar Enezi) Mafia III’s Boat Glitch Beyond Good & Evil 2 Artwork Shadow Of The Colossus 3rd Boss Battle. Resident Evil 3’s Nemesis First Encounter Where can you find us? – اين تجدونا؟: The Gaming Recess… Boss Battles! – معارك الزعماء! This episode is all about E3! We talk about the conferences, and some of the games that liked in the show. !E3 هذي الحلقة كلها عن راح نتكلم عن كل المؤتمرت, و عن الالعاب الي عجبتنا في المعرض. Speakers – المتحدثون: Abdulmalik Zubailah Khalil Abusido Sara Al-Zahrani Mohammed Gharaibeh‎ Show Links: Cory Barlog’s GOW4 Interview Detroit Live Demo EasyAllies’s E3 Coverage Where can you find us? 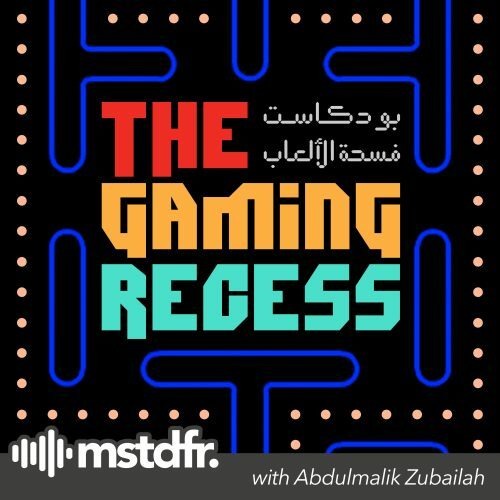 – اين تجدونا؟: The Gaming Recess Twitter – Instagram GameDevJeddah’s Website GameDevJeddah’s Twitter – Instagram For inquiries and suggestions: email us at: Zubailah@gamedevjeddah.com … …… ……… DREAMS ARE REALITY!